Friends of 18-year-old Danforth shooting victim Reese Fallon visit a memorial honouring the victims on Monday. 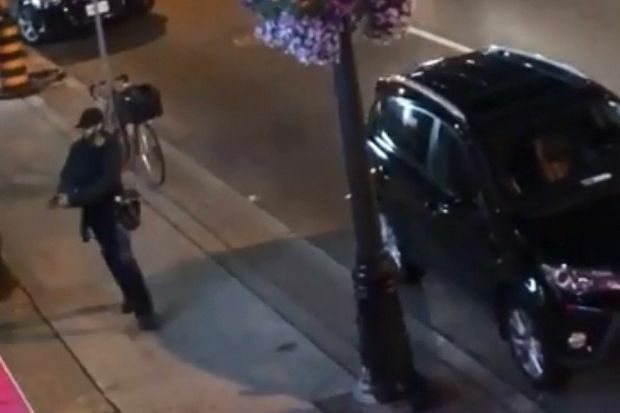 A child and young woman are dead and 13 others injured after a man with a handgun walked along Toronto’s busy Danforth Avenue on Sunday night, indiscriminately shooting pedestrians before opening fire on crowded restaurants. Faisal Hussain, the 29-year-old shooter, was found dead after an exchange of gunfire with police, although it remains unclear if he died by suicide. The province’s Special Investigations Unit, which probes cases in which civilians may have been injured or killed by police, is investigating the suspect’s death and has assigned six investigators and three forensic investigators. “At this time, there is no national-security nexus to the investigation,” said Hilary Peirce, a spokeswoman for Minister Ralph Goodale. In a statement released on Monday, Mr. Hussain’s family said their son has struggled with “severe mental health challenges” throughout his life and offered their condolences to his victims and their families. 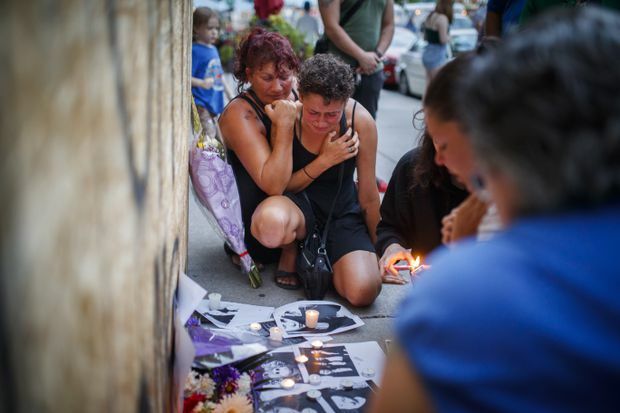 Toronto Police Chief Mark Saunders announced on Monday afternoon that the two people killed were an 18-year-old woman, later identified as Reese Fallon, and a 10-year-old girl. Ms. Fallon was attending a birthday celebration with friends at a restaurant on the east-end Toronto strip – commonly referred to as “the Danforth” – according to sources who know her family. A friend in the group was injured in the shooting and was taken to a hospital. “We are heartbroken to learn that a recent graduate of the TDSB was among those who tragically passed away as a result of last night’s violence on the Danforth,” said John Malloy, the director of education for the Toronto District School Board in a statement. 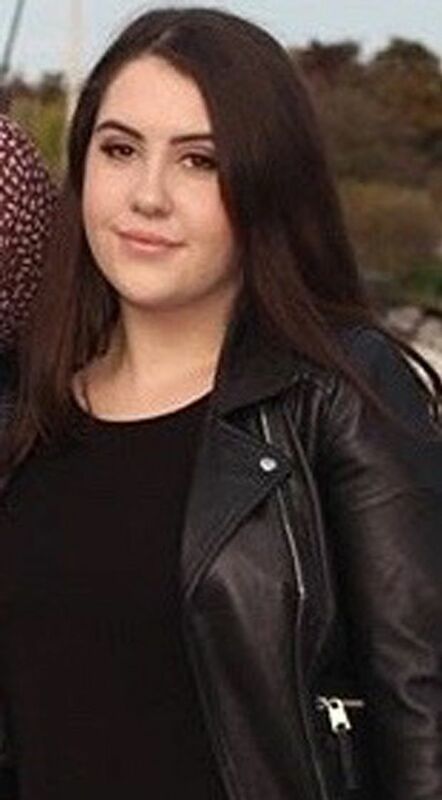 “An engaging student, Reese Fallon graduated from Malvern CI just last month and was highly regarded by staff and loved by her friends." Although the SIU has taken over the investigation of the death of Mr. Hussain, Toronto police continue to trace his actions before Sunday’s bloodshed. On Monday, officers searched an apartment building north of Danforth Avenue in a neighbourhood known as Thorncliffe Park. Neighbours identified the unit being searched as the home of Mr. Hussain’s parents. In their statement, Mr. Hussain’s family said their son suffered from psychosis and depression. A still frame from a video captured and posted on Instagram from the account @ArielAnise shows a young man, dressed in black, raising a handgun on Sunday, July 22, 2018. Police have identified the suspect as 29-year-old Faisal Hussain. In an address to Toronto’s city council, Mayor John Tory lashed out at what he called the city’s “gun problem.” Toronto has seen 228 shootings in 2018, and 29 such shootings have resulted in a homicide. This time last year, there had been 205 shootings and 17 homicides from gunshots. On Monday evening, a stream of local residents, as well as friends and family members of the victims, flowed into the Calvary Church, the site of the vigil, to honour the victims. “We’re here to support each other,” said Alanna Fawcett, who has lived near the Danforth for nearly 20 years. Police said that of the 16 people shot – a tally that includes the suspect – eight were male and eight were female. The victims ranged in age from 10 to 59. Chief Saunders said some of the injuries sustained by the victims would be “life-changing,” but would not provide other details. Ms. Fallon was to attend McMaster University to study nursing, according to posts on what appeared to be her Facebook page and that of her father. Liberal MP Nathaniel Erskine-Smith, who knew Ms. Fallon, said her family is devastated. Meanwhile, in Thorncliffe Park – the neighbourhood where Mr. Hussain grew up – residents recalled a neighbour who had clearly struggled with mental health. Aamir Sukhera, 38, who came by the scene, said he had known Mr. Hussain since he was a child. He said the family had immigrated from Pakistan decades ago, and Mr. Hussain was one of four children. The family had been in Thorncliffe Park since around 2000, he said. But they had been through several ordeals. One sister had died in a car accident years ago, and a brother has been hopitalized and severely disabled for the past year after suffering a stroke, Mr. Sukhera said. The suspected shooter’s 70-year-old father had recently had invasive form of surgery. Three weeks ago, Mr. Sukhera bumped into Mr. Hussain at a shopping mall, he said. He complained that his hours had been cut at the retail job he held stocking shelves and said this had come as a blow, Mr. Sukhera said. Editor’s note: A previous version of this article said Toronto had seen 84 shootings at that point last year. This version has been corrected. Andreas Mantzios was on Danforth Avenue Sunday night when a gunman began firing at pedestrians and into cafes. Mantzios says he saw a woman gunned down and people were screaming to get down.